Hello all, new here and assuming I have the right section here. I am trying to find details (plans might be asking a lot) for the boat No. 153. It looks a lot like a Maynard built craft, although there is a rather fancier version of the same shape built by Brooke in 1915. 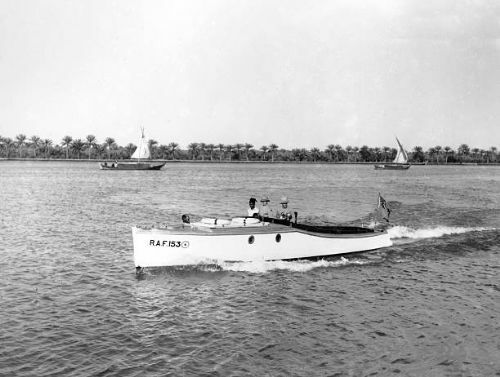 The photo I have shows it in Basrah, Irag, but has no further details about it. I would very much like to make a model of it in my normal 1/16th scale. I do hope some of you knowledgeable chaps might help. One of a batch of 35ft motor boats ordered to Admiralty specifications for the RAF. From RAF Marine Craft Class Directory Vol VI. Thanks, Christian, are there any drawings of this boat or this style of boat?